My family really enjoys this soup. 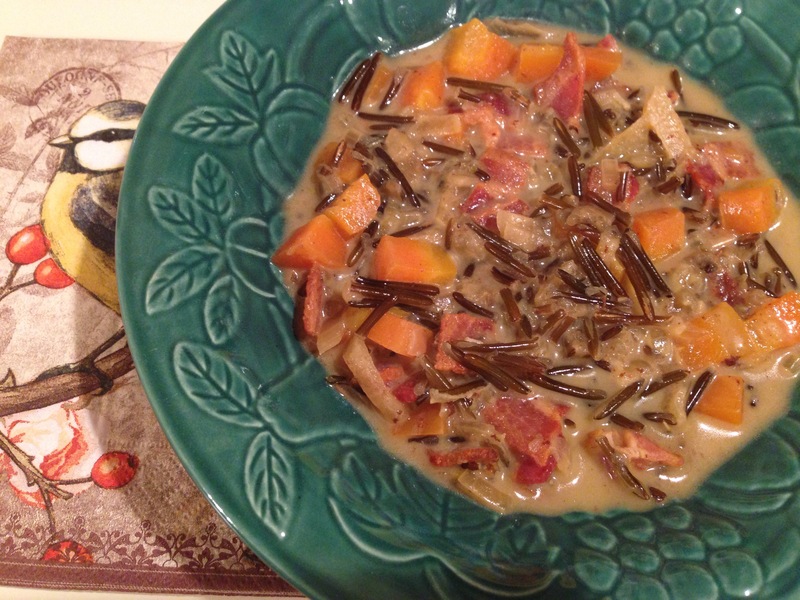 The broth is particularly flavourful, and the soup feels hearty, but not heavy. 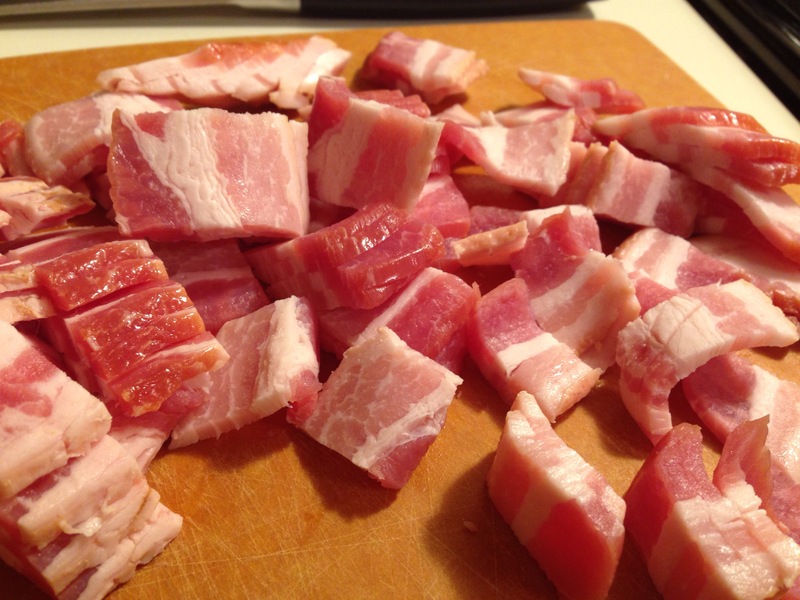 Fry bacon pieces in a large pot. Remove bacon with a slotted spoon and drain on paper towel. Drain excess bacon fat from pot, leaving 2-3 tablespoons in the pot. 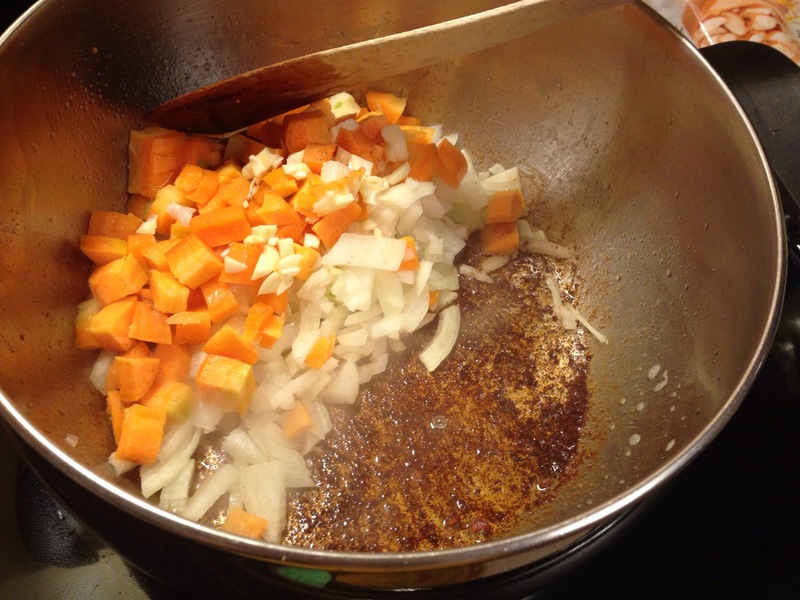 Add the onion, carrot and garlic to the pot and cook until starting to soften. The lovely brown bits will start to stick to the vegetables as they start to sweat. Stir in the thyme and then add the wine, scraping the pot to lift all the brown goodness. Add the chicken broth and wild rice. Bring the soup to a boil, then turn down, cover and simmer for an hour. Add the cream and bacon and simmer without the lid for 5 minutes. Taste for seasoning and add salt and pepper to taste. LOVE bacon. This looks delicious. Thanks for sharing! Yeah! So glad you enjoyed it!